A new smart system for the bio-acoustic identification of the olive fruit fly has been unveiled at a technology conference. Farmers for Climate Action (FACA) are calling for politicians to stop ‘squabbling’ and act on climate change, with warnings of increasing incidences of extreme weather set to cause continuing disruption and damage to Australian food crops. “It beggars belief that some political leaders are still denying or downplaying climate risks to Australian agriculture,” FACA CEO Verity Morgan-Schmidt said. Farmers for Climate Action is an independent, non-profit, non-partisan organisation of 2000 farmers and leaders in agriculture committed to tackling climate change. More information, and join, here. We hope you’re all enjoying your weekly edition of Friday Olive Extracts (FOE), bringing all the latest industry news and events to your Inbox in an even more timely manner. 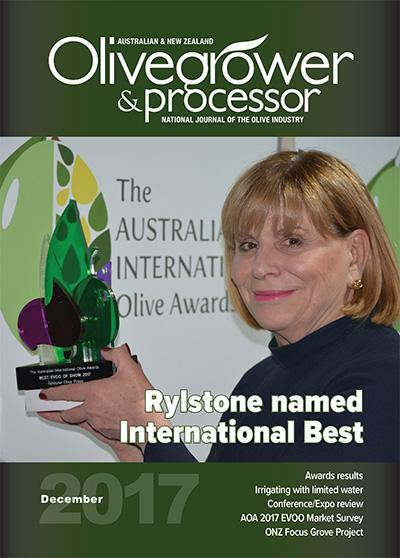 THE place to share olive industry news and last-minute event reminders, the 2017 weekly format has been another great step forward for our increasingly popular industry e-newsletter, and we now have nearly 4000 subscribers across the globe. If you’re not one of them, you can sign up here. Churchill Fellow and olive grower Peter Birch with the Colossus harvester that he first saw on his study tour in 2001. Hort Innovation has joined forces with the Churchill Trust to offer three Churchill Fellowships annually, each valued at around $26,000. These offer Australians the opportunity to travel overseas to conduct research in their chosen field that isn’t readily available here. The Fellowships are open to any horticulture industry participants, including olive growers, who have an idea for a research project that can benefit the sector. More information and apply here. A study as part of the EU project FoodIntegrity is looking for perspectives on food integrity issues in companies or organizations supplying the European market. Part of a project aimed at detecting and preventing food fraud, the survey is open until mid-January. Applications for the AgriFutures™ Horizon Scholarship are now open for first year students studying an agriculture-related degree, and senior students studying financial services with an interest in agriculture. The Scholarship provides a $5,000 bursary and professional development opportunities, along with industry work placements, access to industry leaders, professional development assistance, and opportunities to network and gain knowledge at a range of industry events. Applications close on 23 February. More information and the online application form here. Olive Oil Times spoke with Mirazur's Mauro Colagreco. 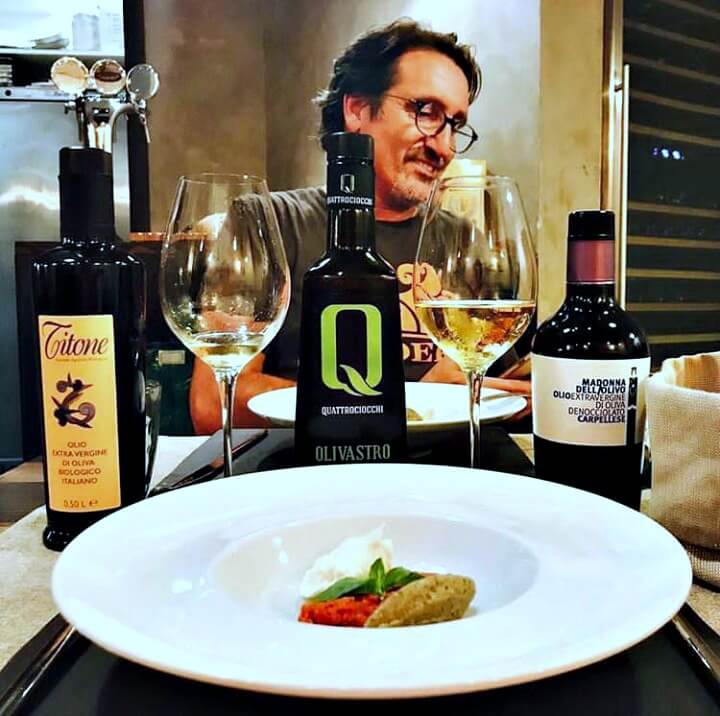 At Filodolio – Cucina Extravergine, in the elegant Trieste neighborhood of Rome, extra virgin olive oil is the key ingredient and the star attraction on the menu. Components of the Mediterranean diet could provide a multi-component model for functional foods to combat type 2 diabetes, according to a recent review. One of the first components referenced for its ‘natural nutraceutical content’ is, of course, olive oil. Food companies in Taiwan that violate the law can now be closed immediately, following the introduction of new guidelines by the country’s Food and Drug Administration (FDA). The new regulations include expired goods, so let’s hope this means Taiwan will benefit via less old, rancid oil in the food chain. Here's why you should have a spoonful of olive oil, first thing in the morning! Olive oil is the go-to cooking oil for health freaks and those wanting to cook healthy and lose weight. Mostly everyone who has ever read about a diet or has looked up for healthy food recipes is familiar with olive oil and its heart-healthy properties. What a great suggestion: if just 20% of Australians had a dose every day, imagine what it would do for AEVOO sales – and national health! One in 10 experienced high financial losses due to food fraud in 2016, according to a survey. Certification schemes - like Australia’s Code of Practice OliveCare and NZ’s OliveMark - are noted as being increasingly important for food sourcing confidence. A gang dedicated to stealing olives in Malaga has been dismantled by Spanish police. Around 30 people are suspected of raiding olive farms and plots across the Guadalhorce valley, stealing thousands of kilos of olives before attempting to sell them.